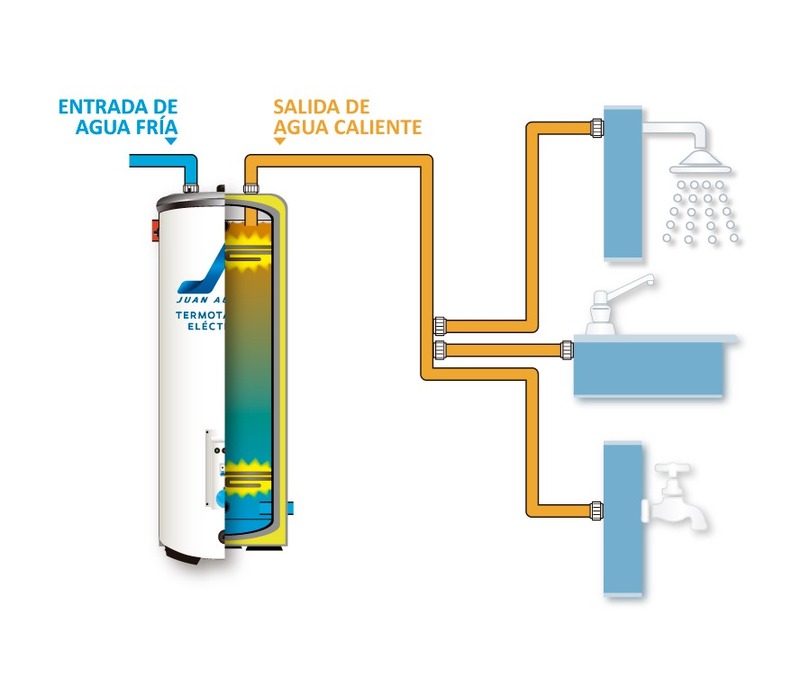 Our water heating system is based on solar energy, provided by solar thermal collectors for use in homes, hotels, swimming pools and industrial applications. Ecuador is privileged to get about 12 hours of solar radiation year round and optimum ambient temperatures. 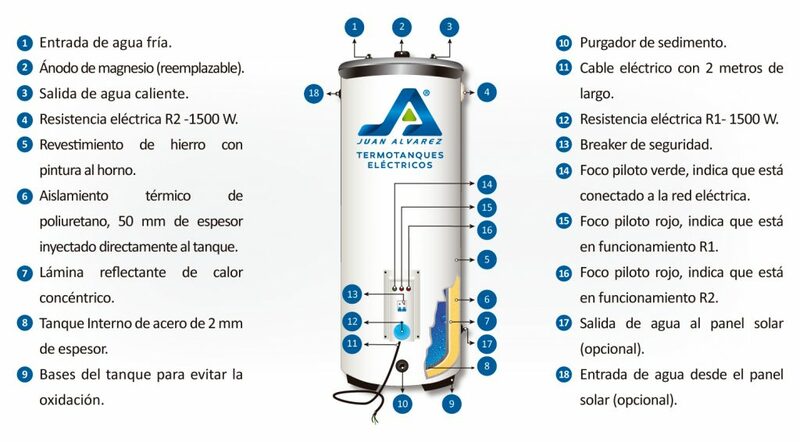 The solar thermal collectors consist of an electric hot water storage tank which, connected to a solar panel, heats water making very little or no use of the electrical resistances (and hence, energy), depending on the season (summer or winter, i.e. the raining season). WHAT IS A SOLAR THERMAL COLLECTOR J.A.? Solar thermal collectors fall into the water storage category. 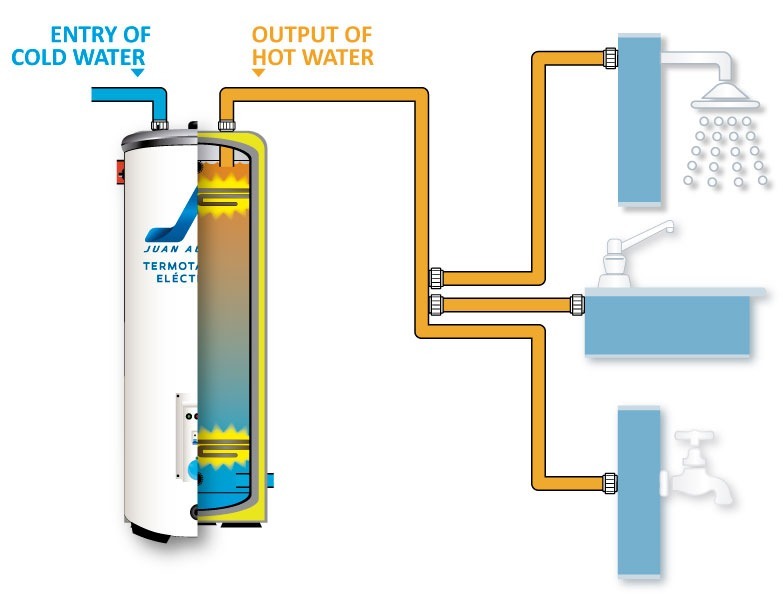 Essentially, the heating system consists of 2 parts: the collector and a hot water storage tank. 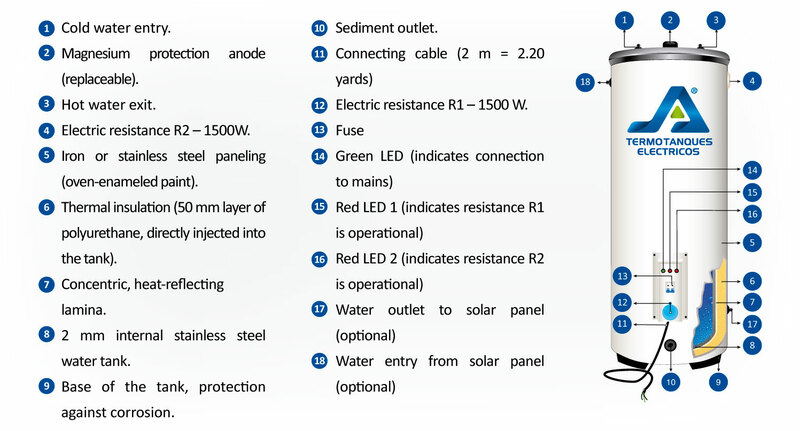 HOW DOES A SOLAR THERMAL COLLECTOR J.A. WORK? tank falls below a minimum temperature setting, ensuring that hot water is always available. IN ORDER TO INSTALL A SOLAR THERMAL COLLECTOR JA, DO I NEED TO CHANGE OR MODIFY MY WATER FACILITIES OPERATING WITH A CALEFON A GAS? No. No changes are necessary. WHAT NEEDS TO BE TAKEN INTO ACCOUNT WHEN INSTALLING A SOLAR PANEL ON MY ROOF? This question, even if not very common, is one of the more important ones as there are indeed some aspects that need to be considered to increase the efficiency of the collector. The principal factor is to ensure that no shade created by trees or buildings that can block the sunlight, falls directly on the solar panel. Another factor to consider is the weight of the collector, which is determined by its size. It is therefore recommended that you consult an architect or engineer in order to determine where to install it – on the roof, on your terrace, or on a custom-made scaffold. 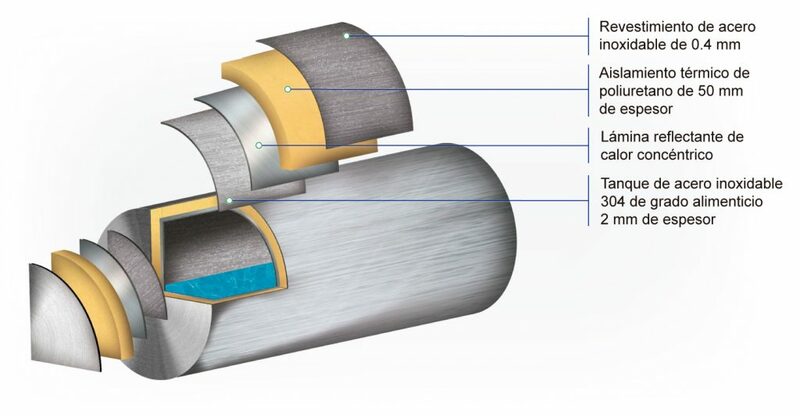 In order to maximize the efficiency of the solar thermal collectors JA, their orientation towards the sun is another very important factor to consider. WHAT IS THE OPERATING LIFE OF A SOLAR THERMAL COLLECTOR J.A.? Given the high-quality materials we use and based on past experience, it use of a solar thermal collector JA may easily exceed 15 years. WHAT IS THE WARRANTY ON THE SOLAR THERMAL COLLECTORS J.A. Our collectors come with a 3-year warranty for all structural parts, covering internal water leakages, breaks and defects of the thermal insulation and tempered glass. All electrical and electronic components of the storage tanks such as resistance, temperature controls (thermostat), and timers have a one-year warranty.